Heavy-duty tire retreading has “a bad rep,” according to Intrepid Direct Insurance aftermarket general manager David Willett. A common sentiment holds that the work would be riskier to insure than collision repair, he said. “It doesn’t bother me at all,” said Willett, who for years insured heavy-duty tire retreaders at Universal Underwriters. For if a heavy-duty retreading facility follows the procedures and standards established by the manufacturers of the tire and the retreading equipment, liability transfers back on the OEMs “all the time,” according to Willett. Willett and a panel will explore how auto body shops can also reduce liability and what lesson can be learned from the retreading industry at an Oct. 30 session during the Society of Collision Repair Specialists’ Repairer Driven Education series at SEMA. “Facing Increased Complexity and Liability – How to Protect Your Collision Repair Business!” will also feature repairers Burl Richards (Burl’s Collision Center) and Ron Reichen (Precision Body and Paint) and Intrepid Direct customer success adviser Shaughn Kennedy, who holds ASE Master and Tire Industry Association certifications. Willett recalled a notable case against Les Schwab years ago in which the tire company was sued for the “same type of dollar figure you’re talking about for John Eagle,” a reference to the $31.5 million 2017 verdict (later settled for an undisclosed amount) against a Texas body shop which didn’t follow OEM repair procedures. As Willett recalled, Les Schwab had performed an improper casing repair on a wheel that had been fixed “too many times” compared to the manufacturer recommendations. “It’s just exactly what we’re going through right now (in collision),” said Willett. Tire retreaders at the time were fixing tires based on how they learned it years ago, failing to keep current with OEM procedures. Or they’d rationalize that they’d “‘been doing this forever,'” according to Willett. “New tools, new technology” arose to take an X-ray of the tire and preserve that data for liability, a much more accurate method than the old strategy of having one’s best retreading tech eyeball whether the tires appeared sound, he said. The old method was purely visual; the tech “didn’t refer to anything,” unless the shop kept logs, and had no way of knowing how many prior retreads had occurred, Willett said. At the same time, the new, safer “cold” process of recasting tires had arisen for the aftermarket — yet shops weren’t switching because of the expense of adopting the technology, according to Willett. It was hard to find insurers willing to bet on the heavy-duty retreading industry, but Universal Underwriters was happy to underwrite retreaders for amounts like $15-$20 million — so long as the repairer used the cold-type technology, according to Willett. He said the sense was that shops who invested in keeping current were safer bets. The manufacturers supporting the retreading industry also developed trackers which could be put on a tire and scanned to determine the mileage and number of prior retreads, which Willett called a “game-changer.” Universal Underwriters would also require the shops it underwrote to “pre-scan” and “post-scan” the tire to track this information, X-ray the tire, and enter the results into a computer, Willett said. 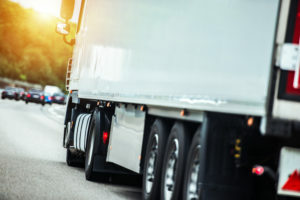 The shop also would leave markings on the tire which would allow them to ascertain later if the truck had potentially received an retread from someone else who failed to provide a record of the work. If that was the case, the shop noting the discrepancy would refuse the job — and the liability, according to Willett: “‘Take it back to someone else,'” they’d tell the customer. Today, any tire retreading facility which desires to expand at all would have to embrace such procedures and equipment to obtain coverage from the insurance industry, according to Willett. “There are people today” still operating under the old methods from 20 years ago, but they’re never going to be able to grow their business, according to Willett. His insurer Intrepid Direct weeds out risky shops in a similar fashion as Universal Underwriters weeded out bad tire retreading Willett’s carrier demands all applicants be either I-CAR Gold Class or Road to Gold under certain circumstances. “If you’re not I-CAR gold, we won’t insure you,” he said. Intrepid Direct requires the shop to pre- and post-scan all vehicles, have a quality control technique, calibrate vehicles properly, have proper equipment, and possess access to “on-demand” OEM repair procedures. Intrepid Direct’s risk would in theory diminish diminishing to factors like honest mistakes (“We’re OK about paying those claims,” Willett said) rather than sloppy, preventable ones generated by a shop’s failure to keep current and follow OEM procedures. 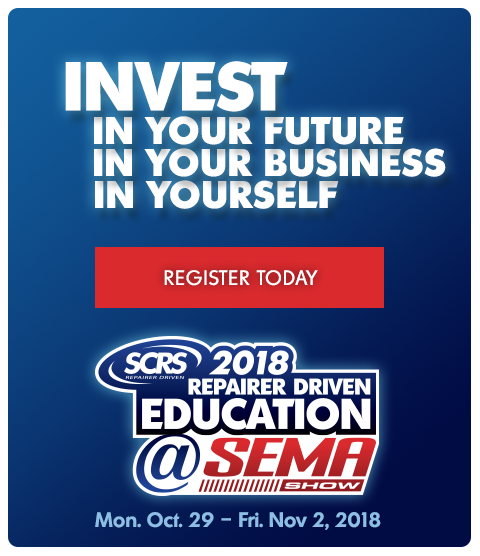 Attend Willett and other speakers’ sessions by taking advantage of early registration for the Repairer Driven Education series and OEM Collision Repair Technology Summit at SEMA.